Running marathons is probably on par with bolemia or similar health conditions. Lucky for me, running is perceived as a healthy habit. Run Forrest run. My insurance provider would even grant me a $100 rebate if I put a hundred hours into tracking my activities on their senseless web site. I’ll try that again when I wear an Apple Watch with an app to automate the upload. 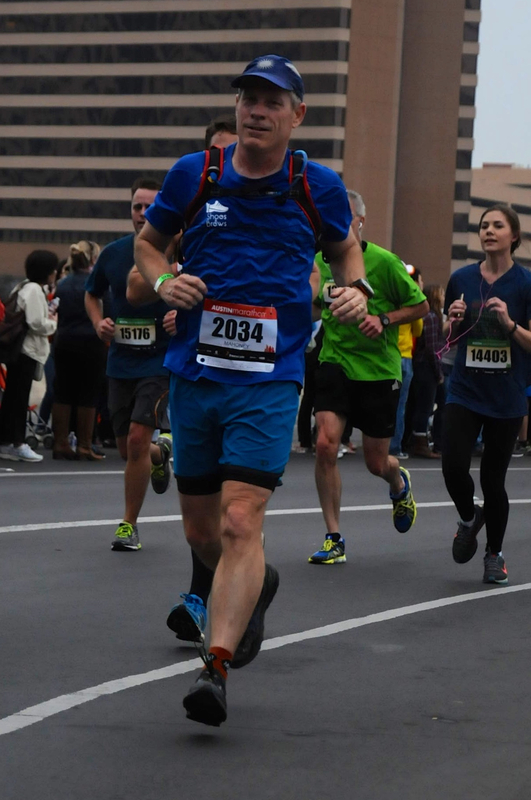 I do believe running is good for my mental health. Some athletes curl stones across the ice. Pick your diversion. 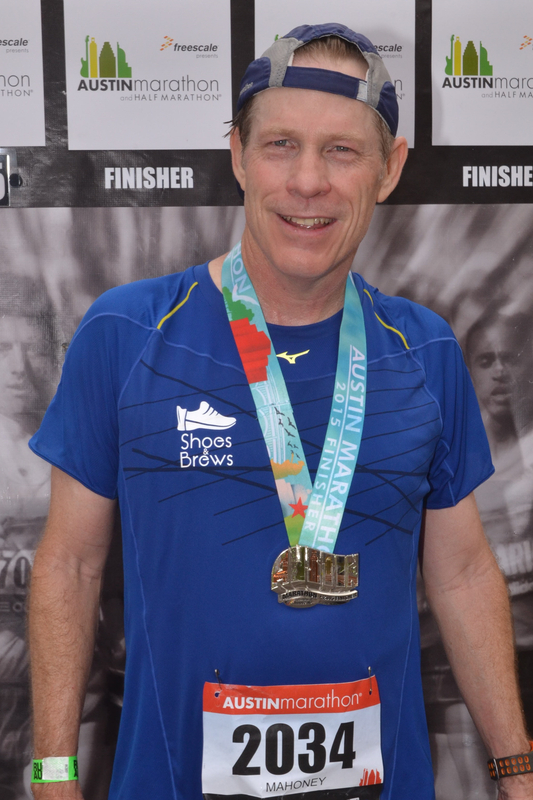 I can tell you that I felt great after the Austin Marathon last Sunday, and recovered well enough to run the next day. I didn’t run the next day because the weather sucked and I was busy, but I could have. My post-race massage deserves credit for much of my muscle recovery. I think the point I really want to make is I didn’t hurt myself. 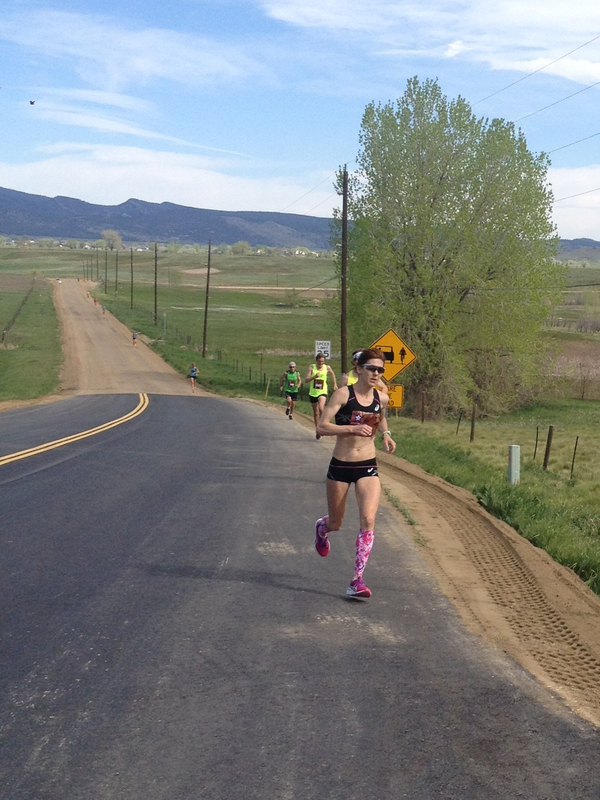 There were no marathon-related strained muscles. I was a bit concerned I would make my cold worse, or develop allergies from the high mold count. My cold did feel worse that night but mostly cured by Monday, and no allergies. I dodged a bullet. That I recovered so quickly hints that I am in fact in shape to run a marathon. I usually know when I am but I don’t always know when I’m not. I think my slow down on the final 10K was only partly due to the hills in Tarrytown and the warm temperature and humidity. The biggest factor is running the first 10K too fast. The trick to running Austin well is a slow start, made difficult by the long downhill stretch on South First Street after 3.5 miles. The photo above is in front of the Hyatt Hotel between 5 and 6 miles. If I run this next year, I’m running super slow the first six miles. Or I might just switch to the half marathon. I picked up my sister Sandy from Austin Bergstrom at midnight Wednesday. She’ll visit for ten days. My mom now has a full house and I’m sleeping on the couch. I started running again Wednesday but have no race plans. Normally Moab would be next but I have yet to commit to that. I’ll keep my runs at an easy pace and distance for the next few weeks to promote recovery and stay healthy. Thanks. I’d love to meet with you for dinner but my dance card does look full for now.